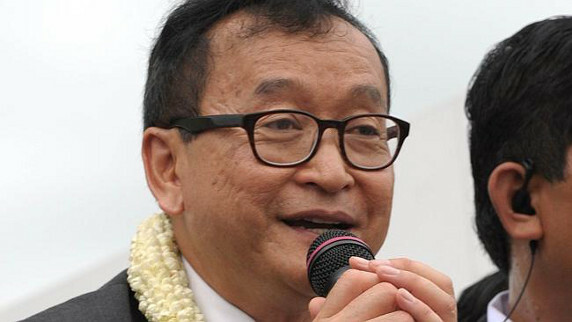 Cambodian opposition leader Sam Rainsy has urged Australians to “push their Government” to cancel the refugee deal with his country. AUSTRALIA should abandon a plan to send refugees to Cambodia and “take up her responsibility” to them instead, the country’s opposition leader has told an Australian advocacy group. In a short documentary by the SA-based Welcome to Australia group, to be released today, Sam Rainsy urged Australians to “push their Government” to cancel the deal worth $40 million in extra aid for Cambodia because it would send refugees to a country which could not look after them. Under the deal struck in September, refugees living in a detention centre in the Pacific nation of Nauru can volunteer to transfer to Cambodia. The International Organisation for Migration has agreed to help settle those who decide to make the move, but so far, none have volunteered. However, Immigration Minister Peter Dutton has said he expects sufficient numbers to sign up. The documentary also features concerns from everyday Cambodians who worry about the ability of refugees to find jobs and support themselves. Welcome to Australia national director Brad Chilcott said the film showed “the summary position of most people living in Cambodia is ‘life is hard enough here for us, why would you send anyone else to live here?”. Mr Dutton visited Cambodia last week and told the Phnom Penh Post that criticism of the settlement deal was “lacking substance” and not based on facts.